Some of the PFF running team post race. It was a cold one put there today, with a little snow mixed in to remind us that wired is still around. Nothing dampened our spirits, though. It was an amazing experience, with 11 team members running. Can't wait for the next race! Some of the Miss Porters women set to run the 1/2 marathon. Go Daisies! 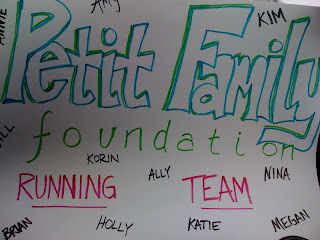 The PFF running team mobile! hr to the start, here we go!!!! A few signs for the course :) hopefully we can get them out in the morning in time! Pre-race dinner, loading up before we hit the road tomorrow. 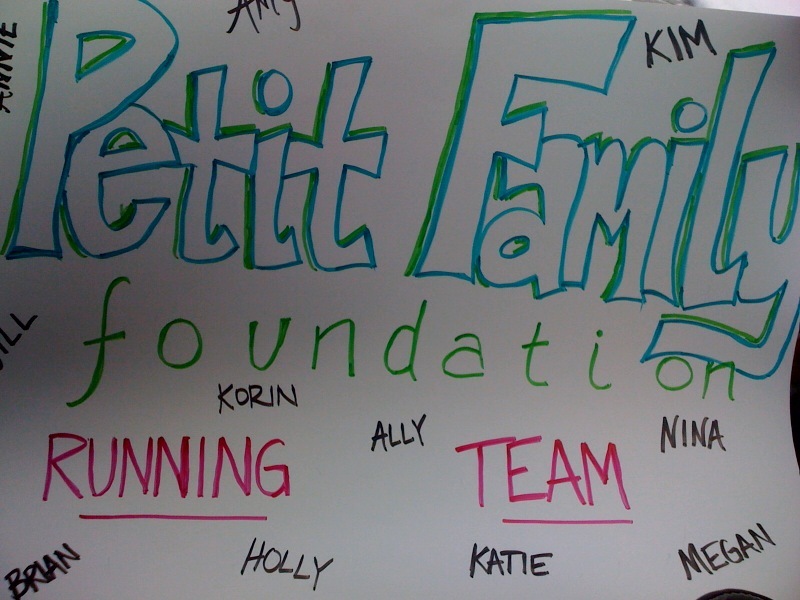 Lots of talk about the Petit Family and how proud and honored we all are to be part of such an amazing movement. A little blurry, but we just stopped in at the convention center to pick up our race numbers. This always seems to be the point where the nervousness sets in. We all are really excited to get out on the road and start running. It feels great to know there will be so many of us for the first time. Follow along as we post more info. Run well and stay safe. PFF flare for this weekends big race. Keep posted for updates. Team member Doc Hetzel sporting his new shirt! A quick hello with team member Korin in NYC!